I absolutely love trying out new makeup. Eyeshadows, eyeliners, lipsticks, bronzers… The list could go on and on. One thing I get really excited about is trying out a new foundation, its the base for everything else (bar primer of course). I can’t apply all my favourite products without a great foundation as a base. I have a stack of foundations that I love, and then a box of foundations that I don’t. When I got the Makeup Forever Ultra HD foundation at first I didn’t like it. My skin was extremely dry and I felt that after a few hours it sat in the dry patches on my forehead and around my nose. Regardless of whether or not I wore primer this happened every time. So I switched back to one of my trusted foundations, and it was then I realised the same thing happening with that. Obviously my face was the problem, so I completely switched up my skincare routine. Over the last few months my skin has changed dramatically so I figured I’d give this foundation another go and I’m glad I did. Pretty much every time I’ve worn makeup over the last month this is the foundation I’ve reached for. I find it blends into my skin seamlessly and doesn’t feel like it sits on my face. One big thing I look for with foundations is that they enhance my skin and make it look better than it did before applying. I don’t want to look completely covered up, thats just not me. I think this is why I like this foundation so much. It still looks natural! This foundation is a medium coverage that is build-able, I wear shade .I love using this for both day and night makeup as I can put on a light layer for the day or build it up if I’m going for a more dramatic look. This was created to look perfect and invisible under spotlights and on camera, as well as in person and I think it ticks all these boxes! If I know I’m going to be in photographs this is without a doubt the foundation I will choose. It gives a gorgeous satin finish to the skin and helps me achieve the glow I want. As far as the claims to be long wearing, I can’t say that it is. I never wear makeup to work as everything would just melt off my face after doing a 12 hour shift. I have worn this on my days off and for nights out and it has stayed on my face but I do find it goes patchy after maybe six or seven hours. For me this is absolutely fine. I never really need foundation to last longer than that for me but I think if you are planning on going straight out after work, you may want to bring this with you to top up some areas. My skin type is dry so after a few hours I always get a bit of wear around my nose and chin mainly so I am used to topping up if I need my face to last longer than eight hours. From what I can tell, even though this foundation is marketed to suit all skin types, I feel that after a few hours it may begin to go patchy if you have oily skin but I can’t be 100% on that as I can’t test it myself. Overall I really love this foundation and will definitely be repurchasing it when my bottle runs out. I’m planning to buy this in a darker shade when I get more of a tan so I can wear it throughout the summer and bring away on holidays. This is wear the hard part comes in, the Makeup Forever Ultra HD foundation is available in 40 shades catering to both cool and warm undertones! 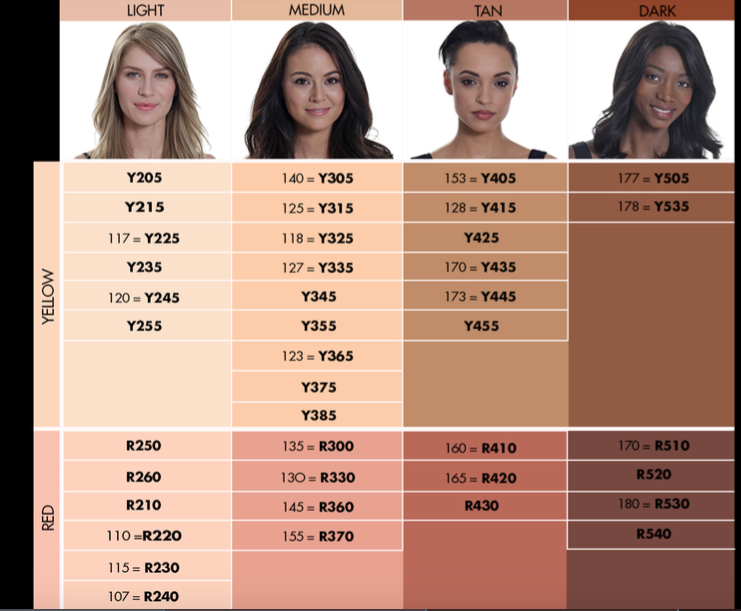 This is a massive shade range which means absolutely everyone should be able to find a shade that suits them perfectly but it also makes it slightly harder to figure out which shade you should go for. I recommend if you are planning on buying this to head into the Makeup Forever store on Clarendon Street in Dublin to get shade matched, I definitely wouldn’t be trying to figure out your shade by looking at swatches online. This is an expensive foundation at ?43 a bottle so the last thing you need is to spend that amount of money and realise you’ve bought the wrong colour. If your heading to America pop into Sephora and ask for samples of the shades you think are closest to your skin colour and tone. This way you can test them out and find out what suits best before committing to a purchase. I presume you can do this in the MUFE store on Clarendon St. but I’m not certain. If you can’t get to Dublin to get shade tested, don’t worry! MUFE are set to launch in selected Debenhams stores around Ireland later this year! They haven’t yet confirmed which stores or set a date but if all goes well in the stores they have picked they will then extend out to every Debenhams! 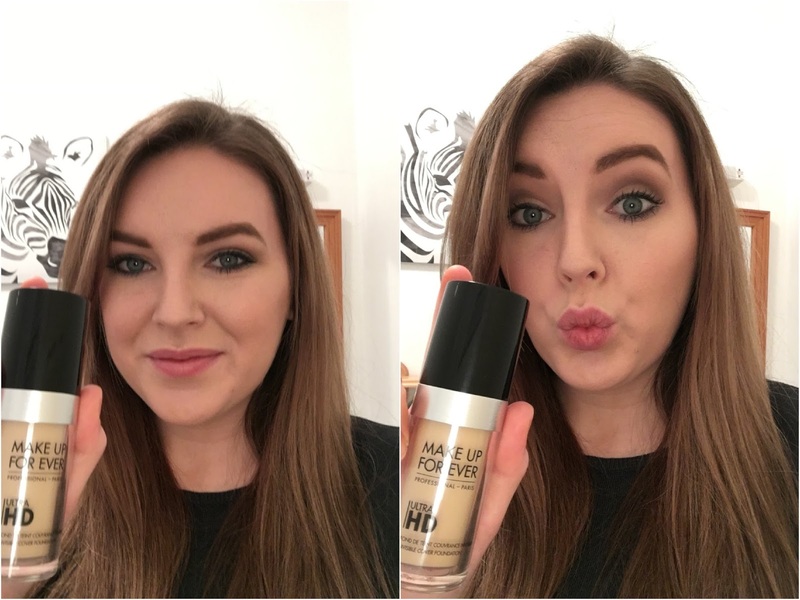 I hope I have given you all a good overview of the Makeup Forever Ultra HD foundation and answered any questions you have about it. Please let me know in the comments if you have tried this and what you thought of it, I love hearing everyones opinions on the products I use!